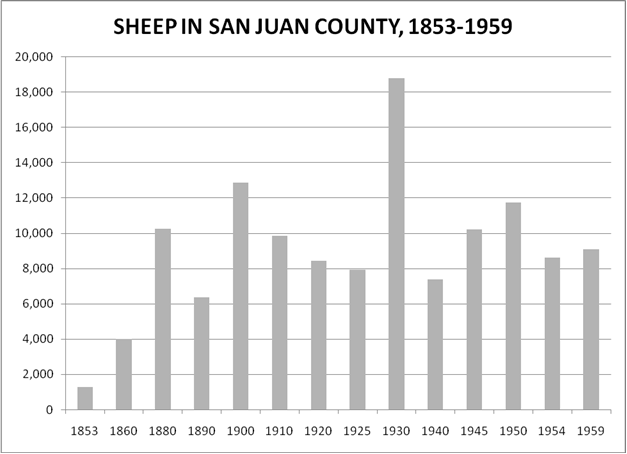 Sheep, raised for breeding, meat, and wool, have always been a major crop in San Juan County. Charles Griffin of the Hudson’s Bay Company brought 1,369 sheep to the newly established Belle Vue Farm on the southern end of San Juan Island in 1853. The Company built up their flocks to some 4,000 animals, and American and British settlers also soon established large flocks. 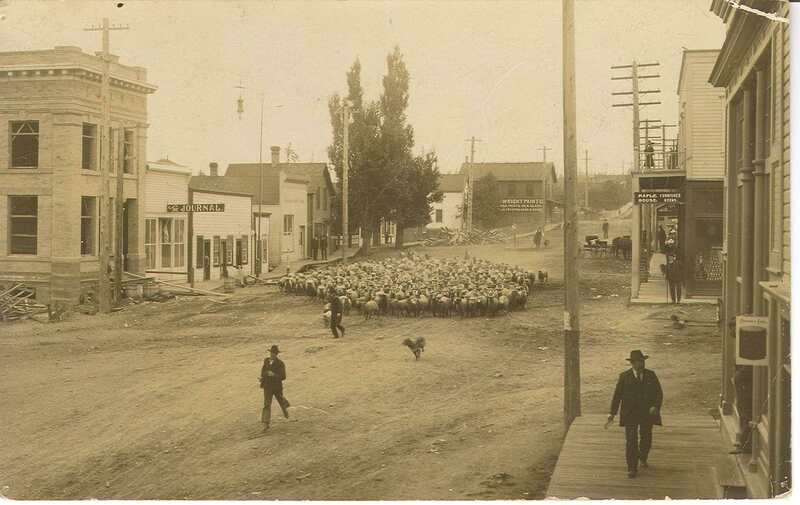 Eventually, a record number of 18,789 sheep were recorded in the 1930 census. Even though flocks declined after the 1950s, sheep still constitute a sizeable portion of the farming landscape. The 2002 census counted 2,731 sheep and lambs, the largest per county in Western Washington. Barns designed specifically for sheep are rare in San Juan County. The few that have survived are constructed with a central hay mow, sometimes on a raised wooden platform, under the main gable, with sheds on three sides for sheep pens. The hay was loaded through the open side of the barn, and forked into mangers lining the three pen sides.